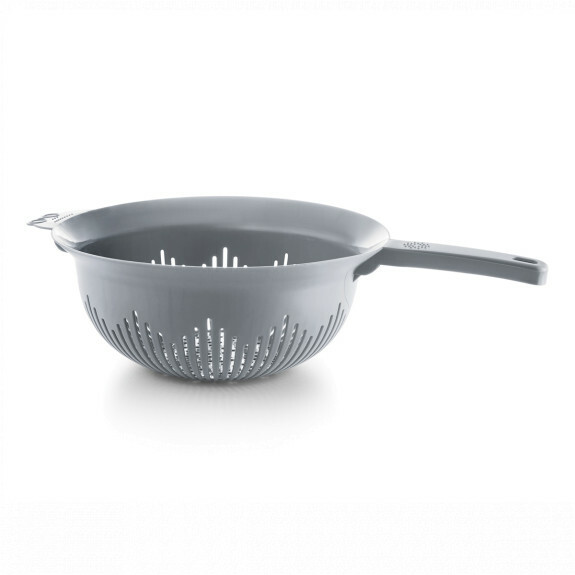 HOW CAN YOU POSSIBLY COOK IF YOU DON'T HAVE AT LEAST ONE YBM HOME ROUND OR SQUARE COLANDER? !The Easiet menu For Supper is PASTA of course.Then you just throw some sauce on it and viola you have a âgourmetâ meal.If you donât have a colander or your colander broke, melted or your baby took it as their new toy, itâs time for a new one.YBM HOME Has Available For You Colanders in a Variety of Styles and Colors . Large Holes The drainage holes are arranged in such a way that you can drain your pasta, veg or other foods in no time at all. The holes are large but not too big, so food wonât slip through.  Long Handle 9.75 Inch Strainer One of the biggest strainers you can buy. Perfect for feeding a large crowd. Fit a large portions of pasta, spaghetti or potatoes into it. Long handle ensures improved functionality.